You don't mind if I just stand here and watch do you? While some HD remakes come across as being cash-ins or “too soon.” There’s something different about bringing back two cult hits that haven’t been fully exposed to the current gaming audience. 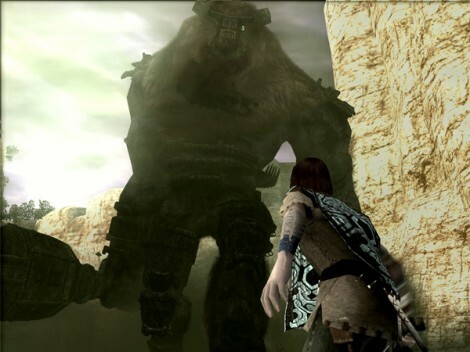 The Ico and Shadow of the Colossus Collection will finally be released this September as a PS3 exclusive, and Sony has released new trailers for each remastered game (below). Fans of the originals and new gamers should plan to take a break from new releases this fall and visit two of the most mezmerizing experiences the PS2 had to offer. If I have to wait any longer I’m going to explode! I hope we see more of this from the PSONE/PS2 consoles. I don’t feel like they will ever get the same retro love that the older Nintendo systems do because when go you back and play this generation of consoles they just look like really crappy 3D games. I think in your mind you remember the graphics being better than they really were. The problem with some of the original 3D games is that they play terribly now. Took a long time to work out the kinks in camera movement, platforming, etc. But you’re right Coop, there are a lot of PS1/PS2 games that deserve another shot.